The Dean, Faculty of Communication and Information Sciences, University of Ilorin, Dr. Rasheed Gbenga Jimoh, has acknowledged the glowing contributions of the institution's Directorate of Corporate Affairs (DCA) to the continuous projection of the good image of the University to the outside world. Dr. Jimoh stated this last Thursday (January 31, 2019) while receiving the Chairman and Members of the Directorate's In-House Seminar Organising Committee who visited him in his office. The Dean noted that the Directorate has, through its mass media organs, assisted in promoting the varied activities and achievements of the different Faculties, Units and staff members of the University to the global community at zero cost to the beneficiaries. He noted that the activities of the Directorate are the most important factors accounting for the glorious and colourful rating the University enjoys among its peers. He explained that if not for the Directorate it is doubtful if members of the University community would know as much as they do about the University not to talk of the external publics of the University that rely heavily on the related information generated, processed and disseminated about the institution and her components to the outside world. 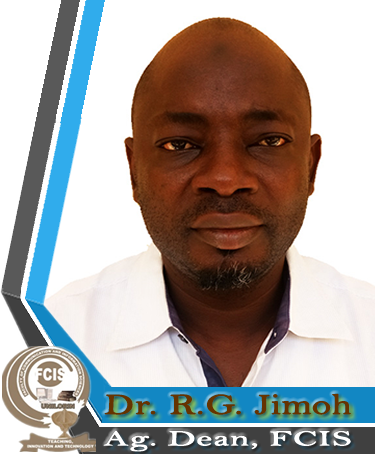 Dr. Jimoh added that he was always impressed whenever his attention was drawn to events in which he or his colleagues featured as covered by respected national newspapers, courtesy of the initial coverage given to such by the Directorate's media organs. He particularly thanked the Directorate for the lavish publicity the recent international conference organised by the Faculty enjoyed, which, he said, was widely and elaborately reported by the media to the encouragement of participants and appreciation of stakeholders all-over and beyond the country. Dr. Jimoh praised the magnanimity of the Unilorin 89.3 FM and the professionalism of the Unilorin Bulletin, which he said always beam the activities of his Faculty to the public, noting that no Unit in the University can truly succeed without the services and collaboration of the Directorate of Corporate Affairs. As a way of reciprocating the robust cordial relationship his Faculty enjoys with the Directorate, the Dean reiterated his continuous support towards the achievement of the Directorate's activities and mandates, particularly in ensuring a hitch-free organization of its bi-monthly seminar series, which always hold at the Faculty's Conference Room. Dr. Jimoh assured his visitors that he would not only attend the next edition of the seminar in person but also granted all the requests put before his office by the Directorate as he noted that the two units are, aside being the closest neighbours, strategic partners in progress and development of the University. Earlier in his remarks, the Chairman of the Directorate's In-House Seminar Organising Committee, Mr. Idris Alooma, commended the Faculty of Communication and Information Sciences for its consistently encouraging support to the Directorate, particularly in organising its bi-monthly seminar series. Mr. Alooma, who is also the Ag. Station Manager of the Unilorin 89.3 FM, informed the Dean that the next edition of the programme comes up on Tuesday, February 12, 2019.